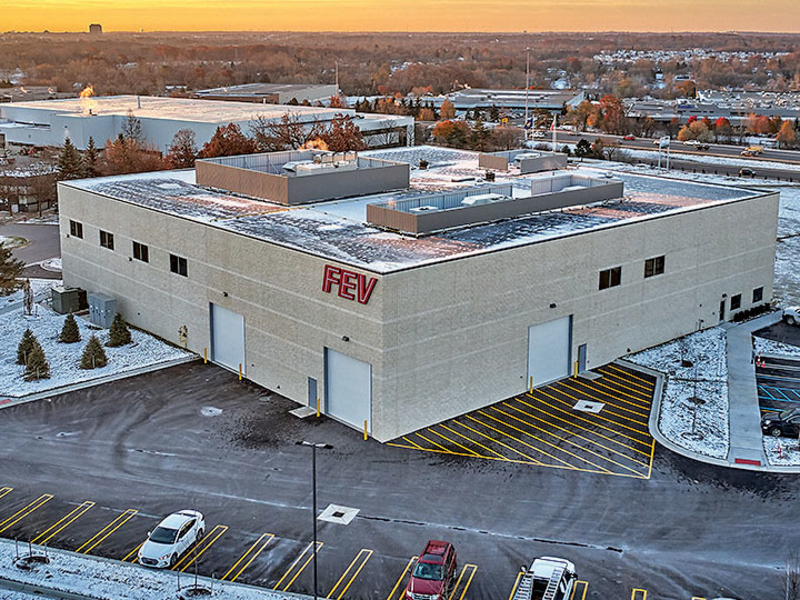 “That’s why we decided to build our vehicle testing facility,” Dean Tomazic, FEV chief technical officer, said during a media tour at the Auburn Hills, Mich., center. The company said that meeting future regulations for gasoline and diesel vehicles will require automakers to validate vehicle emissions to a Super Ultra Low Emissions Vehicle Level or Euro 5/6. In addition to testing at that level, the center will be able to evaluate emissions in particulate matter and formaldehydes. The center can control operational temperatures ranging from minus 20 to 40 degrees Celsius (minus 4 to 104 degrees Fahrenheit), allowing customers to test propulsion systems in a wide set of conditions. Finding available testing space anywhere has been a challenge. Alan Bedewi, an FEV lead engineer, said the company recently needed to perform range testing on some electric vehicles under different climatic conditions. The Auburn Hills center was designed for future expansion. An area has been reserved for a second chassis dynamometer, which would double capacity at the facility. Land was reserved on the south side of the building for a multistory office building, which Tomazic said is roughly two to three years away. Xbox’s 1st Party Is Unpredictable & Exciting For The First Time In Years-What Can We Expect From It? June 30, 2018 Comments Off on Xbox’s 1st Party Is Unpredictable & Exciting For The First Time In Years-What Can We Expect From It? December 21, 2018 Comments Off on Does Wave of Fortnite Dance Lawsuits Spell Doom for Epic Games?